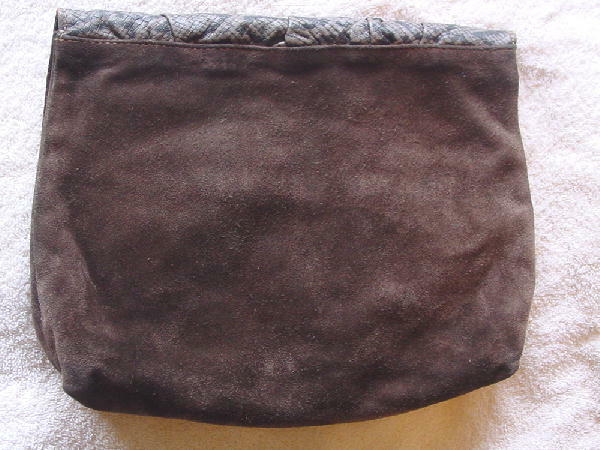 This vintage genuine leather purse was made in Italy. 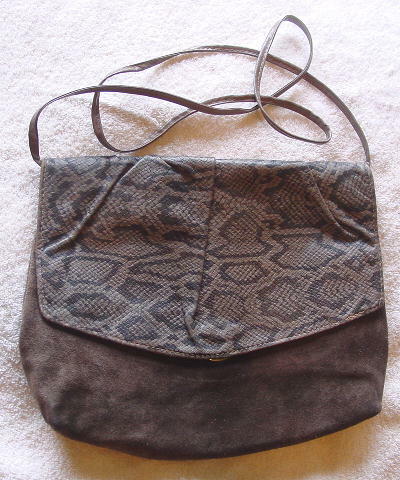 It has a soft brown suede front and back and an embossed reptile pattern leather flap in light cocoa-sand and grayed-taupe. The interior is in dark brown leather. It has a 45 1/2" long by 1/4" wide light cocoa-taupe leather shoulder strap which you can tuck inside and carry the purse as a clutch and a (hidden under the flap) one snap closure. It was used once, in a movie.